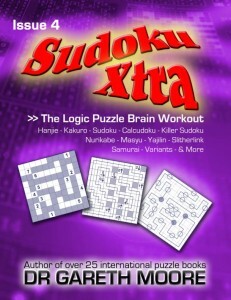 Sudoku Xtra 9 puzzle magazine now out! Issue 9 of my Sudoku Xtra magazine is now available for either download as a PDF, or pre-printed from Amazon.com (US) or Lulu.com (elsewhere). With an incredible 127 logic and number puzzles across over 50 types of puzzles, this month’s issue features a giant cover PivotPix picture logic puzzle (also known as Sym-a-Pix and Spiral Galaxies). This issue has the biggest Community Puzzles section yet, with some truly astonishing puzzles contributed by the cream of the world’s puzzle authors. From Colorlink to a Hanjie-Nurikabe cross-over, and from Symmetric Heyawake to Lying Sum Sudoku, there’s something for everyone. The rest of the magazine as always has some new variants and rearranged content in, including the interesting Killer Sudoku 1 3 5 7 9 -2 -4 -6 -8 (guaranteed to challenge even the best Killer solvers), Odd-Pairs S and more. 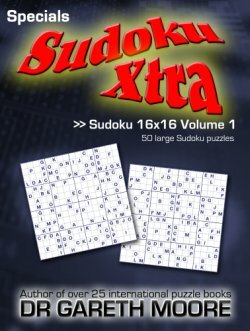 With greater variety than any other puzzle publication, including a huge range of Sudoku variants, Sudoku Xtra really is incredible value. 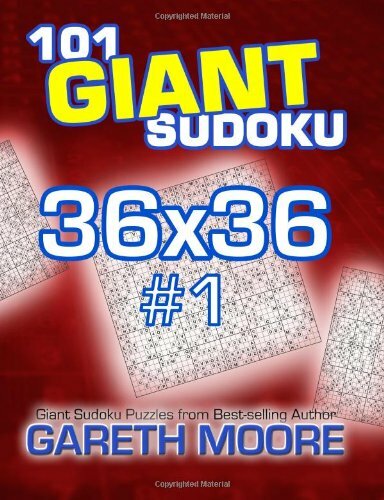 Available from the Sudoku Xtra site now! Sudoku Xtra issue 7 is now out! It’s available for download and also pre-printed from Lulu (for UK and most of the world), with the Amazon.com pre-printed version (for the US) due to follow in around a week or so (once they update their database). 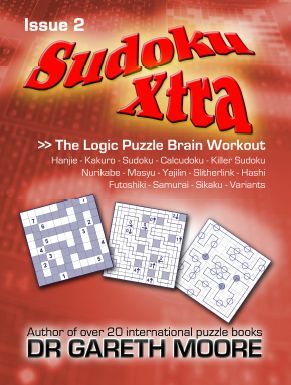 Issue 7 of Sudoku Xtra contains even more large-page Japanese puzzle fun, with an incredible 116 varied logic and number puzzles. A special section in this issue is devoted to giant puzzles, with the 13 full-page puzzles including Hanjie, Nurikabe, Yajilin, Slitherlink, Hashi, Samurai Sudoku variants, Kakuro and more. 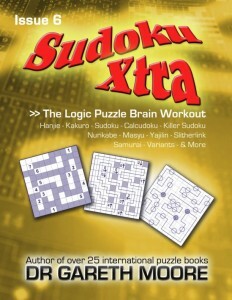 Sudoku Xtra offers greater variety than any other puzzle publication, with a huge range of Sudoku variants that include Jigsaw, Extra Region, Skyscraper, Consecutive and many more. Other featured puzzles include Calcudoku, Futoshiki, Hitori, Killer Sudoku and a range of variants, including Zero Killer Sudoku Inequality! 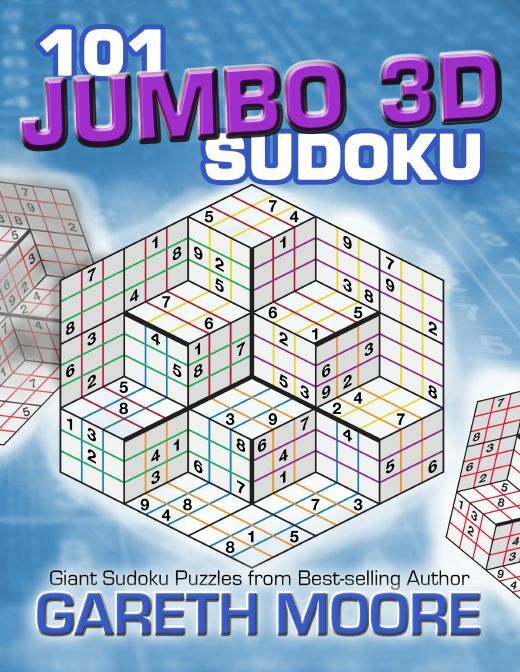 Designed to print on either A4 or Letter paper, or pre-printed on similarly large paper, Sudoku Xtra features puzzles at a range of difficulties, so is suitable for both logic puzzle fans and casual solvers alike. 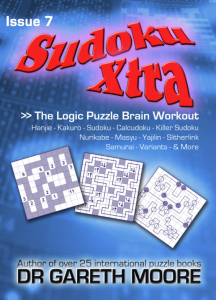 No matter what you like, you’re sure to find many puzzles to enjoy in Sudoku Xtra issue 7. 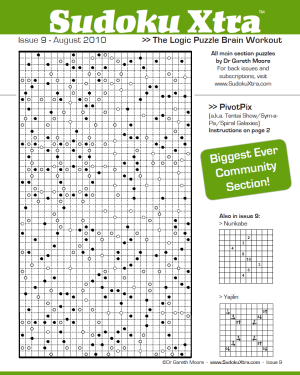 There’s also another great Puzzle Community section too, thanks to the generous contributors. Puzzles sent in for issue 7 include Navigrid, Mini Killer Sudoku, Knighted Sum Sudoku, Fillomino and more. Get Sudoku Xtra 7 now. I’m pleased to announce that Sudoku Xtra issue 6 is now out and available for the full triumvirate of download and self-print, pre-printed from Lulu (recommended for most of the world) and also free same-day posting from Amazon.com (recommended for US). -4 -3 -2 -1 0 1 2 3 4 Killer Sudoku – back by popular demand! Killer Inequality Sudoku – lots of symbols on a grid! And all of this for just £3.99 or $5.99 – it really is fantastic value! If you’d like to get hold of it just pop on over to the Sudoku Xtra website! 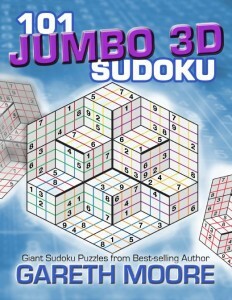 A book of just 16×16 Sudoku is now available both for download or in pre-printed form from Lulu.com or Amazon.com (with free delivery in some cases). I’ve had lots of requests for a book like this over the past couple of years, so I hope if you’re one of the people who’ve wanted something like this that the book meets your expectations! All of the puzzles have nice symmetry, and the difficulty level is set such that you won’t need to make lots of fiddly pencil marks in the grid (or indeed any pencil marks at all, if you don’t want to). It’s printed on large paper (A4 at Lulu, 8″x10″ at Amazon), with just one puzzle per page, so you’re getting the puzzles at a comfortable size for solving. Full solutions are included, and with 50 puzzles it’s going to take you a long time to solve them all! Please feel free to post any comments here, or head over to Sudoku Xtra and take a browse on the discussion forums – and maybe join in! Sudoku Xtra issue 3 now available! I’m really pleased to announce that issue 3 of Sudoku Xtra magazine is now available for download! This issue is packed full of all sorts of puzzles, including SOS (Samurai Outside Sudoku! ), Toroidal Inequalities and many more. Community puzzles include picture puzzle Mosaic from Clarity Media, and some fantastic Slitherlink-Masyu cross-over puzzles called Shotgun Slitherlink from David Millar of The Griddle. There’s also some brilliant Klump and Navigrid puzzles from Vexus Puzzle Design. With 121 puzzles it will almost certainly take you far more than the month until issue 4 to complete, so you’d better get hold of it as soon as possible! Pre-printed versions will be available in the next couple of days, but you can download and print it yourself immediately! I’m very pleased to announce that as of 24 hours ago Sudoku Xtra issue 2 is available for download or ordering in printed form. It contains a staggering 121 puzzles, with only just a few of each type so there is a huge range of variety. At just £2.95/$4.95 it really is great value, but if you’re still not sure take a look at the sample part of issue 1 still available on the Sudoku Xtra site. New puzzles for this issue include some crazy Sudoku variants, such as Samurai Killer Calcudoku Inequality, and a whole load of novel community-supplied puzzles, including Puzzle L and Knight’s Tour. With so many different puzzles you’re sure to find not just one but lots of puzzles you’ll enjoy, so check out Sudoku Xtra today! Sudoku Xtra issue 1 is only just on sale and I’m already starting work on issue 2! If you’ve read issue 1 then you’ll know that I’ve proposed a ‘community’ puzzle section at the back, where people get to send in their own puzzles and I will include a selection in a special section. The idea is to try and build up the kind of puzzle community that some of the Japanese-language publications have, but which we haven’t yet seen in an English-language magazine. Hopefully it will lead to a virtuous spiral, with on the one hand people who contribute puzzles getting a larger audience for their own work whilst similarly on the other hand encouraging more people to read the magazine for the novel puzzles – and hopefully all the while encouraging more feedback too, which will help everyone. In time for the second issue I’m not realistically expecting very many submissions – after all, it won’t be long before I need to start finalising content for issue 2, and that doesn’t give people much time to buy the magazine, think about puzzles, draw them up and submit them. So in order to help things get going I’ve approached a few people who regularly create top-quality puzzles of their own and asked them if they’d be happy to contribute a puzzle or two to issue 2. Therefore I’m very pleased to announce that David Millar of The Griddle has agreed to provide a couple of his excellent designs for issue 2. If you take a look at his site you’ll see that he regularly posts a huge variety of different puzzle types, and it will be fantastic to have some of this content to help launch the community section of Sudoku Xtra issue 2.